Draft: 2008, New York Yankees, 7th rd. Last name is pronounced "he-GAH-shi-Oh-kah"…married Alyse in November 2016...Graduated from Edison (Calif.) High School in 2008, where he batted .382 with 7HR and 31RBI as a senior and earned All-County honors…was selected as the starting catcher for the 2008 Orange County All-Star South team…was the 2006 All-Sunset League "Rookie of the Year." Hit .167 (12-for-72) with 6R, 2 doubles, 3HR and 6RBI in 29 games (20 starts at C) over two stints with the Yankees (6/25-7/19 and 7/24-9/30)...Hit solo HR off Price-the first hit and HR of his Major League career-and was 1-for-4 in 7/1 win vs. Boston…snapped an 0-for-22 stretch to begin his career, the longest drought by a Yankee to start his career since RHP Hal Reniff (0-for-25 from 1961-64)…was the first Yankee to homer for his first MLB hit since Tyler Austin and Aaron Judge hit back-to-back HRs in their first PAs on 8/13/16 vs. Tampa Bay…was the first Yankee to homer against Boston for his first MLB hit since Andy Phillips on 9/26/04 at Fenway Park...With solo HRs on 7/1, 7/3 and 7/4, became the second Yankee in franchise history to have his first three Major League hits go for HRs, joining Alfonso Soriano (first 3H were HRs from 9/24/99-4/9/00)…is the first Major Leaguer whose first three Major League hits were HRs since Colorado's Trevor Story in April 2016 (first 4H were HRs)...Threw out a runner trying to steal second in the bottom of the 12th inning to end 8/21 win at Miami...Was on the Yankees' AL Wild Card Game roster, but did not play...In 53 games with the RailRiders, hit .202 (38-for-188) with 16R, 10 doubles, 5HR and 22RBI. In nine games (5GS at C) over two stints with the Yankees (4/9-5/5, 6/16-18), did not record a hit in 18AB (2R, 2BB)... Made his Major League debut as ninth-inning defensive replacement at C in 4/10 home-opening win vs. Tampa Bay (did not bat)…became the ﬁrst Yankee to make his Major League debut at catcher since Austin Romine on 9/11/11 at Los Angeles-AL... Made his ﬁrst Major League start at C in 4/12 win vs. Tampa Bay, going 0-for-4 with 1R…was behind the plate for LHP Jordan Montgomery's Major League debut that day, making the duo the ﬁrst Yankees battery to each make their ﬁrst Major League starts in the same game since RHP Jorge De Paula and C Michel Hernandez on 9/26/03 vs. Baltimore (Game 2)... In 14 games with Scranton/WB, hit .264 (14-for-53) with 5R, 4 doubles, 2HR and 11RBI…in six postseason games, hit .100 (2-for-20) with 2R, 1 double and 1RBI…missed nearly half the season over three stints on the minor league disabled list…appeared with short-season Single-A Staten Island and Rookie-level Pulaski as part of rehab assignments, combining to hit 7HR with 12RBI in seven games (.524, 11-for-21, 10R, 3 doubles)... Following the season, was tabbed by Baseball America as the Yankees' "Best Defensive Catcher." Combined with Double-A Trenton and Triple-A Scranton/Wilkes-Barre to bat .276 (102-for-370) with 55R, 24 doubles, 21HR and 81RBI in 102 games…set career highs in runs, hits, doubles, home runs and RBI and walks (38)…entered the season with just 30HR in 411 career minor league games and his previous single-season career high was 8HR in 2011…caught 30.2% of potential basestealers (29-of-96). Among Yankees farmhands, tied Chris Gittens for the lead in home runs (21) and ranked third in RBI (81). Batted .366 (41-for-112) with 10 doubles, 9HR, 26RBI and a .696 slugging pct. off left-handed pitching…hit .236 (61-for-258) with 14 doubles, 12HR, 55RBI and a .430 slugging pct. off right-handers. Began the season with Trenton, batting .293 (65-for-222) with 31R, 15 doubles, 11HR and 51RBI in 63 games…was named an EL Mid-Season All-Star…was named the Eastern League "Player of the Week" for the period from 6/20-26, hitting .467 (7-for-15) with 6R, 1 double, 4HR and 12RBI in four games…went 3-for-5 with 3R, 1 double, 2HR and 7RBI on 6/26 at Akron. Also played for Scranton/WB, hitting .250 (37-for-148) with 24R, 9 doubles, 10HR and 30RBI in 39 games…was named the International League "Player of the Week" for the period from 6/6-12, batting .545 (12-for-22) with 7R, 4 doubles, 3HR and 13RBI in five games over the span…included was a multi-HR game with 5RBI on 6/10 at Columbus. Combined between Trenton and Scranton/WB to bat .420 (29-for-69) with 21R, 8 doubles, 9HR and 32RBI in 18 games in June. Appeared in seven playoff games for the Governors' Cup-champion RailRiders, batting .250 (6-for-24) with 1R, 2 doubles and 7RBI. Was added to the 40-man roster on 11/4/16. Combined at Single-A Tampa and Triple-A Scranton/Wilkes-Barre to hit .250 (81-for-324) with 27R, 19 doubles, 2 triples, 5HR and 37RBI in 93 games…threw out 40-for-136 potential base stealers (29.4%). Began the season with Tampa, batting .254 (78-for-307) with 25R, 18 doubles, 2 triples, 5HR and 36RBI in 88 games and was named a FSL Mid-Season All-Star. Was promoted to Scranton/WB on 9/1, batting .176 (3-for-17) with 2R, 1 double and 1RBI in five games. After becoming a free agent in November, re-signed with the Yankees to a minor league contract on 11/18/15. Split time with the GCL Yankees 1 and Single-A Tampa to bat .224 (11-for-49) with 8R, 4 doubles, 1HR, 3RBI and 7BB in 17 games…caught 6-of-24 (25.0%) potential base stealers. Started the season with the GCL Yankees 1 and hit .217 (5-for-23) with 3R, 1 double, 1RBI and 3BB in eight games. Was transferred to Tampa on 8/5 and batted .231 (6-for-26) with 5R, 3 doubles, 1HR, 2RBI and 4BB in nine games. Following the season, batted .409 (9-for-22) with 4R, 3 doubles, 1HR and 2RBI in six games with the Scottsdale Scorpions of the Arizona Fall League. Appeared in seven games with Double-A Trenton and batted .320 (8-for-25) with 1R, 3 doubles, 1HR and 5RBI…threw out 4-of-16 (25.0%) of potential base stealers. Combined at Single-A Tampa and Double-A Trenton to bat .170 (25-for-147) with 14R, 5 doubles, 6HR and 23RBI in 44 games…appeared in 29 games as a catcher and threw out 15-of-34 (44.1%) potential base stealers. Spent the first half of the season (4/7-6/21) with Single-A Tampa, batting .238 (39-for-164) with 10 doubles, 4HR and 16RBI...appeared in all but two games as catcher (two as DH), throwing out 21-of-60 (35.0%) potential base stealers...was transferred to Single-A Charleston on 6/23 forthe remainder of the season, batting .223 (29-for-130) with 6 doubles, 4HR and 13RBI in 36 games. Played the entire season with Single-A Charleston and batted .225 (72-for-320) with 18 doubles, 6HR and 24RBI in 90 games...hit .192 (41-for-213) prior to the All-Star break, compared to .290 (31-for-107) in the second half...committed just six errors in 479 total chances, catching 27-of-83potential base stealers (32.5%). Batted .253 with 11 doubles, 2HR and 32RBI in 60 games with short-season Single-A Staten Island...led all league catchers in games (57), chances (497) and putouts (451) and ranked fifth in caught stealing percentage (25.3, 19-for-75). Made his professional debut, appearing in 18 games with the GCL Yankees and making 14 starts behind the plate...hit .261 with 1 double, 1HR and 3RBI. April 12, 2019 New York Yankees recalled C Kyle Higashioka from Scranton/Wilkes-Barre RailRiders. March 16, 2019 New York Yankees optioned C Kyle Higashioka to Scranton/Wilkes-Barre RailRiders. July 24, 2018 New York Yankees recalled C Kyle Higashioka from Scranton/Wilkes-Barre RailRiders. July 21, 2018 Scranton/Wilkes-Barre RailRiders activated C Kyle Higashioka. July 19, 2018 New York Yankees optioned C Kyle Higashioka to Scranton/Wilkes-Barre RailRiders. June 25, 2018 New York Yankees recalled Kyle Higashioka from Scranton/Wilkes-Barre RailRiders. March 14, 2018 New York Yankees optioned C Kyle Higashioka to Scranton/Wilkes-Barre RailRiders. October 22, 2017 Kyle Higashioka roster status changed by New York Yankees. October 3, 2017 New York Yankees reassigned C Kyle Higashioka to the minor leagues. October 2, 2017 New York Yankees recalled C Kyle Higashioka from Scranton/Wilkes-Barre RailRiders. September 8, 2017 Scranton/Wilkes-Barre RailRiders activated C Kyle Higashioka from the 7-day disabled list. September 5, 2017 Scranton/Wilkes-Barre RailRiders sent C Kyle Higashioka on a rehab assignment to Staten Island Yankees. September 5, 2017 sent C Kyle Higashioka on a rehab assignment to Staten Island Yankees. August 19, 2017 Scranton/Wilkes-Barre RailRiders placed C Kyle Higashioka on the 7-day disabled list. August 18, 2017 Scranton/Wilkes-Barre RailRiders activated C Kyle Higashioka from the 7-day disabled list. August 15, 2017 Scranton/Wilkes-Barre RailRiders sent C Kyle Higashioka on a rehab assignment to Pulaski Yankees. August 11, 2017 Scranton/Wilkes-Barre RailRiders sent C Kyle Higashioka on a rehab assignment to Staten Island Yankees. June 22, 2017 Scranton/Wilkes-Barre RailRiders placed C Kyle Higashioka on the 7-day disabled list. June 18, 2017 New York Yankees optioned C Kyle Higashioka to Scranton/Wilkes-Barre RailRiders. June 16, 2017 New York Yankees recalled Kyle Higashioka from Scranton/Wilkes-Barre RailRiders. June 7, 2017 Scranton/Wilkes-Barre RailRiders activated C Kyle Higashioka from the 7-day disabled list. May 17, 2017 Scranton/Wilkes-Barre RailRiders placed C Kyle Higashioka on the 7-day disabled list retroactive to May 15, 2017. May 5, 2017 New York Yankees optioned C Kyle Higashioka to Scranton/Wilkes-Barre RailRiders. April 9, 2017 New York Yankees recalled Kyle Higashioka from Scranton/Wilkes-Barre RailRiders. March 31, 2017 New York Yankees optioned C Kyle Higashioka to Scranton/Wilkes-Barre RailRiders. November 4, 2016 New York Yankees selected the contract of Kyle Higashioka from Scranton/Wilkes-Barre RailRiders. August 3, 2016 C Kyle Higashioka assigned to Scranton/Wilkes-Barre RailRiders from Trenton Thunder. June 23, 2016 Trenton Thunder activated C Kyle Higashioka from the 7-day disabled list. June 14, 2016 C Kyle Higashioka assigned to Trenton Thunder from Scranton/Wilkes-Barre RailRiders. May 26, 2016 C Kyle Higashioka assigned to Scranton/Wilkes-Barre RailRiders from Trenton Thunder. April 4, 2016 C Kyle Higashioka assigned to Trenton Thunder from Scranton/Wilkes-Barre RailRiders. November 29, 2015 C Kyle Higashioka assigned to Scranton/Wilkes-Barre RailRiders. November 18, 2015 New York Yankees signed free agent C Kyle Higashioka to a minor league contract and invited him to spring training. November 7, 2015 C Kyle Higashioka elected free agency. September 1, 2015 C Kyle Higashioka assigned to Scranton/Wilkes-Barre RailRiders from Tampa Yankees. April 13, 2015 C Kyle Higashioka assigned to Tampa Yankees from Scranton/Wilkes-Barre RailRiders. April 9, 2015 C Kyle Higashioka assigned to Scranton/Wilkes-Barre RailRiders from Tampa Yankees. February 5, 2015 New York Yankees invited non-roster C Kyle Higashioka to spring training. September 3, 2014 C Kyle Higashioka assigned to Scottsdale Scorpions. August 5, 2014 C Kyle Higashioka assigned to Tampa Yankees from Trenton Thunder. July 25, 2014 Trenton Thunder sent C Kyle Higashioka on a rehab assignment to GCL Yankees1. July 24, 2014 Trenton Thunder sent C Kyle Higashioka on a rehab assignment to GCL Yankees2. July 23, 2014 Trenton Thunder sent C Kyle Higashioka on a rehab assignment to GCL Yankees1. April 3, 2014 Trenton Thunder placed C Kyle Higashioka on the 7-day disabled list. September 18, 2013 Trenton Thunder activated C Kyle Higashioka from the 60-day disabled list. August 19, 2013 Trenton Thunder transferred C Kyle Higashioka from the 7-day disabled list to the 60-day disabled list. April 4, 2013 C Kyle Higashioka assigned to Trenton Thunder from Tampa Yankees. January 31, 2013 New York Yankees invited non-roster C Kyle Higashioka to spring training. July 3, 2012 Kyle Higashioka assigned to Tampa Yankees from Trenton Thunder. June 14, 2012 Kyle Higashioka assigned to Trenton Thunder from Tampa Yankees. May 6, 2012 Kyle Higashioka assigned to Tampa Yankees from Charleston RiverDogs. April 5, 2012 Kyle Higashioka roster status changed by Charleston RiverDogs. 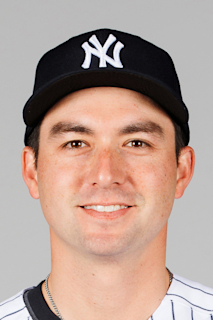 February 8, 2012 New York Yankees invited non-roster C Kyle Higashioka to spring training. August 29, 2011 Charleston RiverDogs activated C Kyle Higashioka from the 7-day disabled list. August 22, 2011 Charleston RiverDogs placed C Kyle Higashioka on the 7-day disabled list. August 19, 2011 Charleston RiverDogs placed C Kyle Higashioka on the temporarily inactive list. August 3, 2011 Charleston RiverDogs activated C Kyle Higashioka from the 7-day disabled list. July 21, 2011 Charleston RiverDogs placed C Kyle Higashioka on the 7-day disabled list. June 23, 2011 C Kyle Higashioka assigned to Charleston RiverDogs from Tampa Yankees. April 7, 2011 Kyle Higashioka assigned to Tampa Yankees from Charleston RiverDogs. February 11, 2011 New York Yankees invited non-roster C Kyle Higashioka to spring training. September 25, 2010 Kyle Higashioka roster status changed by Charleston RiverDogs. August 22, 2010 Charleston RiverDogs placed C Kyle Higashioka on the 7-day disabled list. August 10, 2010 Charleston RiverDogs activated C Kyle Higashioka from the 7-day disabled list. April 6, 2010 C Kyle Higashioka assigned to Charleston RiverDogs from Staten Island Yankees. February 8, 2010 New York Yankees invited non-roster C Kyle Higashioka to spring training. June 18, 2009 Kyle Higashioka assigned to Staten Island Yankees from GCL Yankees. July 21, 2008 New York Yankees signed C Kyle Higashioka.